Chess involves a mind game where the player must figure out the opponent's move and it's reason. Then he must find an answer to it so that he may have the upper hand in the game. One has to judge why the move was made and what impact it will have on the game. And the same when you make a move, make the most positive move possible that keeps you in a safe situation offending the opponent. Note that you should keep even a pawn in safe condition so that you may not lose it. 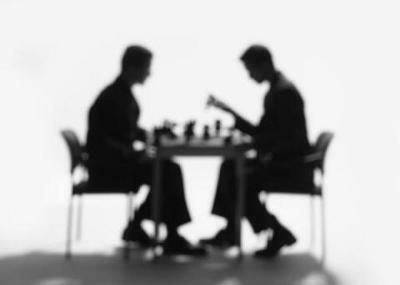 Have a clear plan to execute that is very difficult for the opponent to get through and make moves relative to that. In cases of worst situations lose the piece that has less power than the other, always be on the safer side and attack the opponent through positional moves. Always have a control on the center of the chess board. This helps you to conquer other pieces easily and effectively without any damage being done to your side and always keep your King safe and secure. Provide maximum coverage to it so that you may not lose the game. Use the time effectively not that if you think more you can win you have to act in a tactful manner and always be alert in noting the proceedings of the game so that you may not lose concentration in moves of the game. Winning Tactics for the Mind Game! This article throws light on the soul of the mind game. Chess is a game to be played with logic and concentration. Safe play is equally important to logical moves. Positional moves are very much needed to overcome adverse conditions. Well thought out strategies alone will make a player controller of the game. Mere knowledge about different moves will not give good results. Logical thinking, tactical moves and full concentration will help a player to become a winner in the mind game! It is of paramount importance to visualize each and every possible move of your opponent when you are going to make a move. So before one makes a move on the chess board, he or she has to play it in his/her mind to get best results. One has to use the more powerful pieces effectively rather than throwing them away. It really is a mind game. Between skilled players at least, chess definitely is a mind game but between two beginners or an unskilled against a skilled player, I think it likely there would be a lot more random moves made and less careful planning. I wonder if an unskilled player has ever thrown a master off his game just by being unpredictable and random? Chess is indeed played as a mind game. Cecil, your article sounds pretty helpful as it gives the tips and techniques to win the game. Obviously Rome was not built in a day, time and practice is required to gain command over the pieces and squares As for the mind of the opponent, to judge why someone makes a particular move and the purpose of doing so is a skill that will take time to perfect. Knowing that the other player is mindful of your gestures, try to attract attention to the Queen side of the board if your are planning an attack on the King side and vice versa. Concentrating your gaze on some irrelevant piece is often enough to catch your opponent off guard. Before we are planning our moves we have to think deeply what the opponent is planning to do. We have to watch carefully how the opponent is making their move and what for the move is made. We ask ourselves how they are planning to continue with their further moves. When we figure out the ideas of the opponent move we can judge their idea and we can play better.